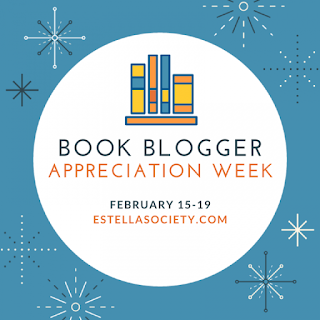 The final day of Book Blogger Appreciation Week is here, and that makes me a little sad. It has been a great week of blogger interactions and for me, perfect timing as I am recovering from a bit of burnout. The ironic thing is that today's conversation is about how to avoid or deal with blogger burnout. Hmmmm . . . convenient! In a couple of months, I will be celebrating 9 years of blogging. I have discovered during all this time blogging that my burnout in blogging tends to coincide with life ... when life gets crazy. Sometimes it has been during one of my many moves. More recently, it has come with trying to juggle starting a new job, returning to school for a couple of classes, dealing with a loved one's diagnosis with dementia, and more. I find that I just lack the time to write, but I rarely lose the desire to write and blog. I always have lots of books and ideas to write about. But, life has to take priority, and the blog gets put on the back burner. When this life burnout happens, I take some time away from the blog. As inspiration strikes, I make a note. I still try to write behind the scenes. And, I always try to read a little bit every day. When I finally find the time to blog again, then I have my notes of inspiration and writings to refer to. In addition, at the end of every year, I try to evaluate my current features on the blog. I look at my priorities for the blog. And, I make changes necessary to move forward. Sometimes, the new features continue. Sometimes, they don't. I just go with my gut, and write from my heart. I blog what I feel like, when I feel like, and try not to let the pressures get to me. And, continuing to converse with my fellow bloggers throughout it all continues to energize me and want to be a better blogger. Afterall, it is the community that has kept me around for this long and it will be the community that keeps me around for a long time to come! What strategies do you utilize for preventing and/or dealing with blogger burnout? I'm glad you blog when you feel like it. I think that is a big key to not feeling the pressure. We can't put life on the back burner to blog. Our blogs are for fun and we should blog when we want. Kami ... Exactly! I used to feel the pressure, but now I simply do it for enjoyment. It is almost like another escape in addition to reading! Yes! Life is the number one culprit of blogger burnout. I love that when things settle down again, you can always go back to it. I'd miss blogging if I left it forever. Jenny ... I would too! It has been such a big part of my life for so long. Life definitely happens sometimes! But making sure you have time for reading and brainstorming ideas is what's important. I love how you call it "life burnout," because that's usually how it starts for me, too--not with the reading or the blogging. And I'm glad you shared how you handle it when it happens. Thanks, Tif! Florinda Pendley Vasquez ... You're welcome! I'm glad to hear that I'm not alone in this. great post. I find challenges and readathons help with blogger burn out. I also have said no to lots of review requests. FICTION STATE OF MIND ... Challenges and readathons do help! I would also add fun events to that as well, like Bloggiesta. I have gone back to declining review requests lately too. I'm just too far behind right now!